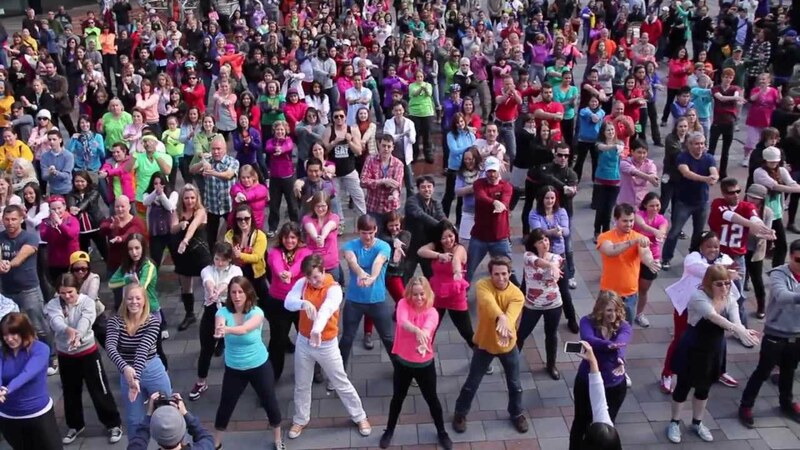 Are You Looking To Hire A Flash Mob? When you want to really make a statement and cause quite a buzz surrounding a big event, you may want to consider hiring a flash mob. There are a lot of people today who are looking to hire a flash mob for business functions, school events, wedding proposals and numerous other special events. No matter what event you have coming up, you have the ability to hire a network of professionals that can help you to create the ultimate, memorable experience for everyone involved and others who are close enough to enjoy the flash mob performance. Have you ever watched a viral video of a group of people all dancing to popular music, using perfectly choreographed moves? Generally, these dances are set up around special events, such as the football captain asking a lovely, unsuspecting girl to the prom, or to surprise a young wife who is delighted to see her husband who is coming home from being deployed overseas. These are events that are put together using dancers, choreographers and event specialists to bring together a memorable flash mob event that will be the ultimate experience for just about any special gathering that you may have planned. Do You Have A Personal Event Planned? Marriage Proposals – This is a special event that can bring butterflies to the stomach of just about anyone who is waiting to pop the question. When you have a flash mob as part of your proposal, you can make the occasion even more memorable and even take some of the stress off of your old shoulders. Weddings – You can have a lot of fun with your ceremony and show all of your guests a great time. There is no better way to get the masses out on the dance floor than having a flash mob available right in the beginning of your reception. Birthdays – Whether it is a milestone birthday or you just want to have something that is extra fun, a flash mob is the perfect way to bring smiles to the face of the birthday guest of honor and those who are in attendance. Anniversaries & Vow Renewals – When you hit a special landmark in your relationship or you would like to renew your love for one another, a flash mob is the perfect way to create yet another memory that the two of you can hold dear for years to come. No matter what the occasion may be, you will see that you can make it even more special when you hire a flash mob. All you have to do is select the best group for the job and you can then enjoy the results. We live in a time where football is becoming more popular than ever all over the world. Ever since the smashing success of the 2008 World Cup, football fans have been springing up out of the wood work, and more children are beginning to get involved playing football. Further, the FIFA video game is one of the most popular offerings by EA Sports and more people are beginning to grow their knowledge of the sport. If you would like to get into football, the Premier League is one of the best places to start. With that in mind, let’s take a look at one of the most popular teams, West Ham United FC. What is the history of this team? This team has incredibly rich history, as it was first founded in 1895. It first bore the name West ham United in the year 1900. When the team first launched, the color scheme was dark blue, as inspired by Oxford University. They have bounced around through various divisions throughout the years and have experience plenty of success since the club was first founded. What are some notable years for this club? If you are interested in learning about this team, it is important that you learn about the glory years. They won championships in the years 1964 and 1975, before stumbling a bit in 1978 and many years following that. Today, the team has a color scheme that is particularly vibrant, as they wear claret and blue. The teams crest features the name in bold, with the word London underneath to crisscrossing hammers. The hammers are symbolic of the team’s nickname “the hammers”. How can I get into watching them? If you would like to begin watching this ballclub, the best way to go about it is to jump right in. You may be unfamiliar with the sport, but watching them play can provide you a wonderful lesson. Make sure that you have your phone handy while watching so that you can look up different rules and regulations should you get confused. It also pays to memorize the roster ahead of time, so you can get a feel for the stars, reserves and role players. The team plays an Olympic Stadium, which holds 60,000 people. They have a rich history which has been preserved throughout the years and if you really want to jump on the current football craze, this is a great team to begin following. So if you really want to get into football, you can begin following different websites and blogs that will keep you up-to-date with the games and happenings of the team. You can also order a sports package which will allow you to watch all of the games that the team plays throughout their various seasons. Keep these points in mind so that you can have a great understanding of the teen and can begin following them religiously as the football season begins!